If you’ve run out of things to do in Seoul or feel like you need a break from the hustle and bustle of the city there are plenty of day trips from Seoul that can easily be achieved or made into a weekend getaway. With the ease and affordable transportation methods, such as KTX (Korean Train eXpress) or national buses, there is little excuse not to explore different parts of South Korea. Busan is perhaps best saved for a weekend, but if you’re pressed for time it can certainly be done in a day trip from Seoul. The KTX will get its passengers from central Seoul to Busan station in just under 3 hours. Busan is a seaside city and boasts some of Korea’s best seafood (Jagalchi Fish Market), so it comes highly recommended to walk along the sea and stop for lunch at one of the seaside restaurants. 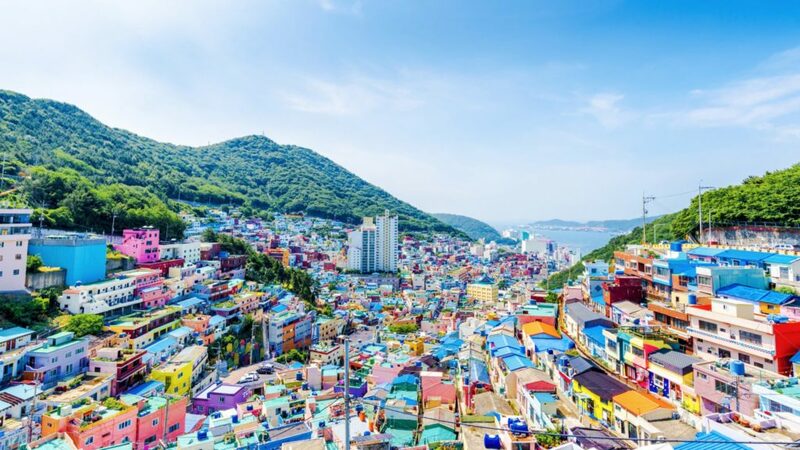 For Instagram-enthusiasts the picturesque Gamcheon village is home to some of the most colorful houses and has winding streets that are filled with murals and sculptures. And finally, for those who are history-buffs or interested in learning more about Korean history, Busan is home the only United Nations cemetery in the entire world and is dedicated to those in the UN Command who lost their lives during the Korean War. The 38th parallel or the Korean DMZ is perhaps one of the most notorious tourist attractions in the world. The DMZ is a weapons free zone between the two Koreas, stretching across the Korean Peninsula for approximately 250 kilometers and has a 2 kilometer buffer zone of land both north and south of the line. The DMZ provides an opportunity to peak into North Korea via aerial views. For those interested in the politics and history of Korea are likely to enjoy this extremely unique opportunity. Visiting the DMZ requires pre-booked tours and is about an hour drive from central Seoul. When going to the DMZ it is required to bring a form of official documentation and is incredibly important to be sensitive to one’s surroundings. Photography is extremely restricted in this area, but does not make it any less interesting of a place to visit. Prior and additional research about the DMZ and how to visit it is highly recommended. Gyeongju used to be the capital city of Korea during the Silla Dynasty. Because of this incredibly rich history the entire city of Gyeongju, also known as the ‘museum without walls’, was deemed to be a UNESCO World Heritage site in 2000, an incredible feat. Perhaps the most awe-inspiring sight to be seen in Gyeongju are the looming rolling hills, which may confuse an ill-informed visitor. These hills are not part of nature, but are instead tombs of the kings and queens of the 1,000 year dynasty. Amongst a myriad of things to be seen are an old astronomy tower, famous Buddhist temples, and caves shrouded in mystery and tales of history. Gyeongju can also be reached by KTX and takes around 2 hours, however buses take around 5 hours and are a cheaper option for budget travelers. While Bukhansan may not technically count as a trip outside of Seoul, walking through the national park can certainly feel far removed from the dense cityscape of South Korea’s capital city. Bukhansan is a popular destination for locals and tourists alike who hike anywhere from two to eight hours across Seoul’s most famous mountain. Those who lack athletic enthusiasm should fear not, for Bukhansan is not all steep peaks. It is also the home to tranquil nature reserves, forests, and spectacular views of the city skyline. For an especially memorable hike, it is recommended to hike in the early morning in order to watch the sun rise over the mountain. If you decide to commit to a full day of hiking through Bukhansan National Park it is critical to bring water and food (a perfect excuse for a picnic), but be sure not to litter. With a little bit of forward planning, day trips from Seoul can be easily organized. 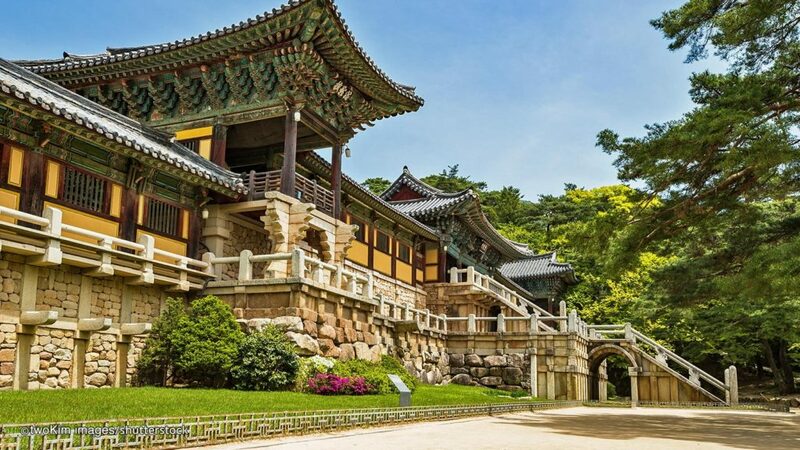 Seoul is a brilliant city with plenty of things to do, but those who are interested in seeing more of South Korea can commit a day or two to visit other cities.